Leather Pen Drives NZ - Custom Branding. 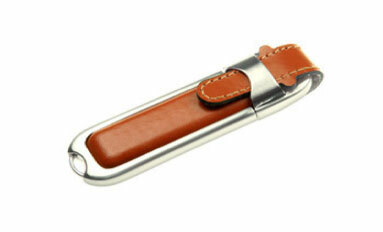 Amongst the new generation of stylish portable storage devices are the leather covered USB pen drives. These drives are filled with the latest features and are available in various capacities. Compatible with the latest technology, our pen drives are available at very competitive rates and make them affordable to you when considering your advertising budget. 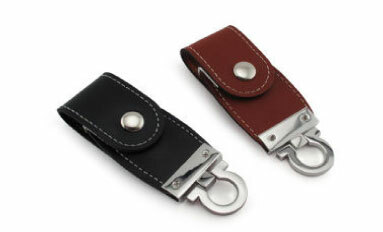 Our leather bound flash drives are compatible with USB interface 2.0 and 1.1 and only need to be plugged in any USB port. In addition our pen drives are powered via the USB port on your computer and therefore are energy efficient as they do not require any additional source of power or any cumbersome adaptor. Adopting a simple plug and play method whenever used, our leather bound USB flash drives do not require a setup process to enable reliable use. We can customize the lleather casings for our clients by embossing their company logo and phone numbers, these can then be used as corporate gifts for their existing and potential customers. The stylish customized pen drives provided to your clients can create huge brand awareness amongst them. Repeated use of the customized flash drives by their customers assist companies to gain a competitive advantage through brand exposure. 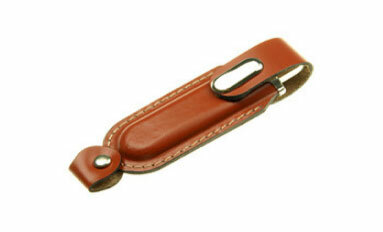 The leather pen drive casing provides excellent protection to our high quality pen drives enclosed within the casing. Additionally, it protects the flash drives from shock and makes them more durable. The users of our pen drives can use the portable drives to store their important files for long durations. Another feature of these pen drives have the buttoned down top clips, which makes it convenient for users to plug in the device to any USB port.